Albert Einstein glorified Gandhi by saying that, “Generations to come… will scarce believe that such a one as this ever in flesh and blood walked upon this earth.” And, whenever I read this statement, it makes my conviction stronger about every social entrepreneur I come across—whether s/he is working in a small village to solve social problems, or leading innovations to solve community problems that were never addressed by the state or the market forces. They are such remarkable human beings who put purpose before profit, and work tirelessly to bring about equality and justice in the many lives they touch. Lives of great luminaries across the world inspire people even after they have completed their sojourn on Earth. Then, too, there are many unsung heroes who have lived their lives sacrificing themselves, inspiring change around them and making a difference. I believe firmly that everybody has the capacity to be remarkable. This is truer in today’s context when we see so many, young and old, engaged in solving complex social problems. They are the unsung heroes, and I have been blessed to meet many of them. They are men and women who do not pursue their passions to win but work for others to win…and find their victory when these others are victorious. Social entrepreneurs are the saving grace for the people they work with, for, and under (many times). In the last two years at SSE India, 33 such remarkable men and women have touched my life and 30 more are currently going through the fellowship programme. 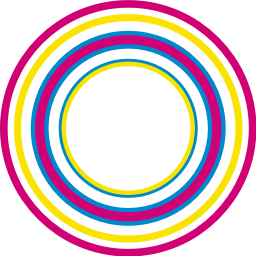 In total, over the last 2+ years, we have seen 63 individuals who have identified a need and working on the solution, realising that an idea will not move from the fringes to the mainstream simply because it is good. Rather, their idea needs to be skillfully worked upon, honed to shape up as a viable model, and marketed before it will actually be able to shift people’s perceptions and behaviour. Gandhi during his lifetime worked on one such idea and named it Swaraj. Living up to his own declaration that we must ‘be the change we want to see in the world,’ he awakened his every cell to live this purpose and used it for his own self-transformation. Remarkably, this transformation has had the power to transform the world. Gandhi’s every experiment started with himself, and he always brought his own experience to drive change. For example, in 1946 Gandhi visited Panchgani (South of Bombay) to open a dharamshala (sanctuary). There he wrote: “Panchgani is a fine hill resort. The air itself is like medicine. But if the present unsanitary conditions continue, Panchgani will cease to exist as a health resort. In a climate like theirs, there should never be any epidemic. Yet they had the plague…” He then proceeded to make some concrete suggestions. He abhorred the profession of manual scavenging which the Indian society had forced upon some men and women as a means to earn their livelihood and insisted that there must be a scientific method of human waste disposal. He indicated on the methods, instruments, and systems necessary for any business to function. In the face of every challenge, he found a way to use an entrepreneurial approach to solve it. 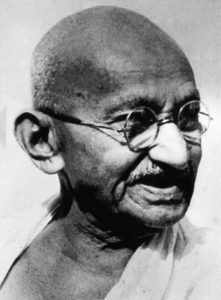 Ultimately, Gandhi used this issue to challenge the social order, highlight the dignity of labour, and urged solutions to put an end to this menace. His remarkable life has lessons for social entrepreneurs, and I attempt to write a few among many. Never lose faith in humanity: Gandhi firmly believed in the power of people to bring change, and this filled him with a renewed sense to work on himself to transform the world. His biggest strength was his connect with PEOPLE, and he engaged with people at all levels, able to relate to their context and reality. He believed that despite so much bad in the world, choosing hope and love—instead of violence and anger—was the only way to redeem the world. Let go of worry: Social entrepreneurs mustn’t worry about failure. They should be ready to start early, fail early, learn early, and grow early. They spend time with the problem, not worrying about it—but seeking to understand it from every dimension with sincere empathy. They have the ability to detach themselves from the problem so that they can find the best possible way to solve it—and this solution many a time comes from an unrelated, unknown, and undiscovered source. 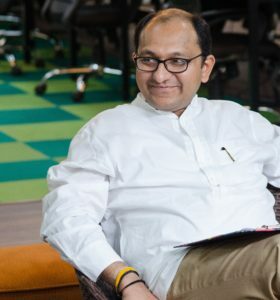 Recently my good friend and social revolutionary, Swapnil Tewari, in his interaction with our fellows said that one must be prepared to break, heal and evolve oneself, referring to the continuous process of learning, doing, and improving. We can apply this to our enterprises as well. The key lies in starting early—with courage and faith. Be the change you want to see in the world: Once a mother came with her young son and requested Gandhi to speak with the boy about eating sweets. Gandhi asked her to come back in two weeks and said he would talk to the boy then. She wondered why the delay, but complied with his request. In two weeks they returned, and Gandhi spoke with the boy, who agreed to begin working to eliminate sweets. 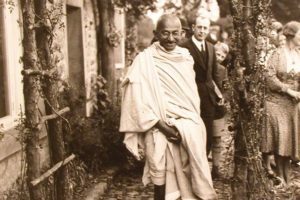 After thanking Gandhi for his wise and compassionate words, the mother asked him why he wanted them to return instead of offering his advice the first time. He replied, “Upon your visit two weeks ago, I too was eating sugar.” He explained that he could not teach her son to avoid sugar if he himself had not taken that journey. Believe what you have experienced and reflected upon. Each day you are preparing for your future: Our preoccupation with the thoughts and emotions of past events and potential future outcomes restricts our action needed in the present moment. Living in the present has great relevance for social entrepreneurs—but, how then do we plan for the future? Planning is an important activity of the present, preparing for the gifts you will receive tomorrow because of the hard work you put in today and strengthened by insights from the past. Gandhi beautifully said that “one step at a time is enough for me”, and with this philosophy, he achieved all that he could for us as a nation. Life is evolving, and so is your enterprise. Allow it to blossom by nurturing it on a daily basis. Pursue Truth: Jawaharlal Nehru, shortly after Gandhi’s assassination, said in a homage: “What was his great power over the mind and heart of man due to? Ages to come will judge, and we are too near him to assess the many facets and his extraordinarily rich personality. But even we realise that his dominating passion was truth. That truth led him to proclaim without ceasing that good ends can never be attained by evil methods, that the end itself is distorted if the method pursued is bad. That truth led him to fight evil and untruth wherever he found them regardless of the consequences…” The simple message here is that means must justify the end. Whatever the noble cause one may pursue, if the means are otherwise then the end is disastrous. It implies that a life of integrity and ethics is a bedrock of higher purpose for every social entrepreneur. Gandhi was a phenomenon unfathomable. His life is exquisitely rich with lessons for everyone that can be followed throughout a lifetime—and for this, we are indebted. Through his experiments with truth, which were nothing but challenges he posed to himself to test his own imaginary boundaries and limitations, he uncovered and removed those barriers to gain self-mastery—and produced a revolution of change for millions of lives. Instead of heaping praise in his memory, he would compassionately urge us to awaken to the same source of inspiration and strength that lies within each of us, and firmly within our reach. Let us, too, have the courage to pursue the path of this Mahatma. I pay my respect, gratitude, and homage to this humble soul of Bharat and revere him as an icon for all social entrepreneurs.